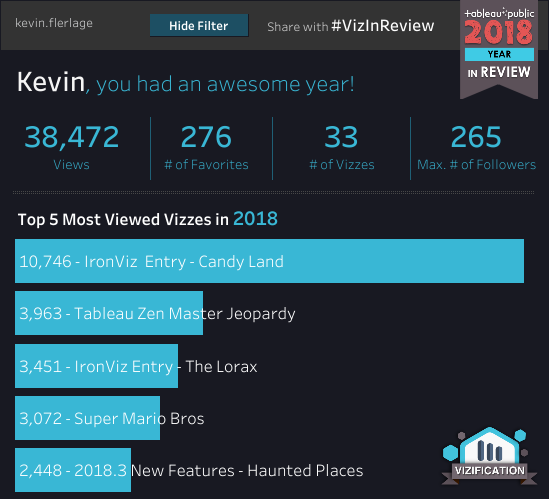 At the end of 2018, Josh Tapley created his VizInReview that allowed other Tableau Public users to look at their statistics from the 2018 year. It was so engaging for the entire community and I absolutely loved seeing people post their personal numbers. The year before, my brother Ken Flerlage, had done something similar for his own work. He wrote some Python code to pull down his Tableau Public data into a Google sheet. 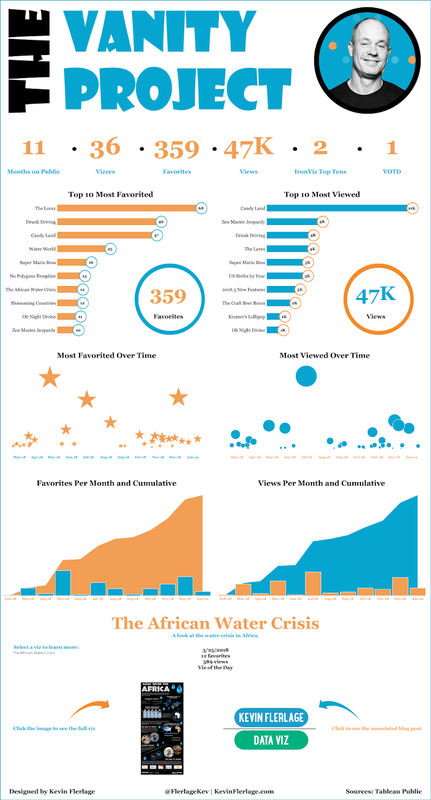 After spending some time looking at his incredible "All My Vizzes" visualization, I really wanted to create one myself. 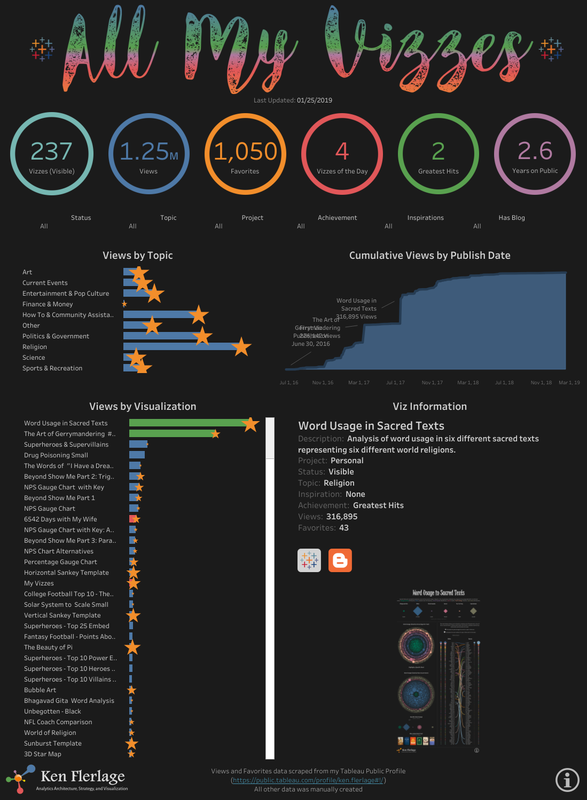 I had a conversation with Ken about it and he offered to modify his code to pull down my statistics for me where I could just connect to a Google sheet using Tableau - thank you Ken!!!! 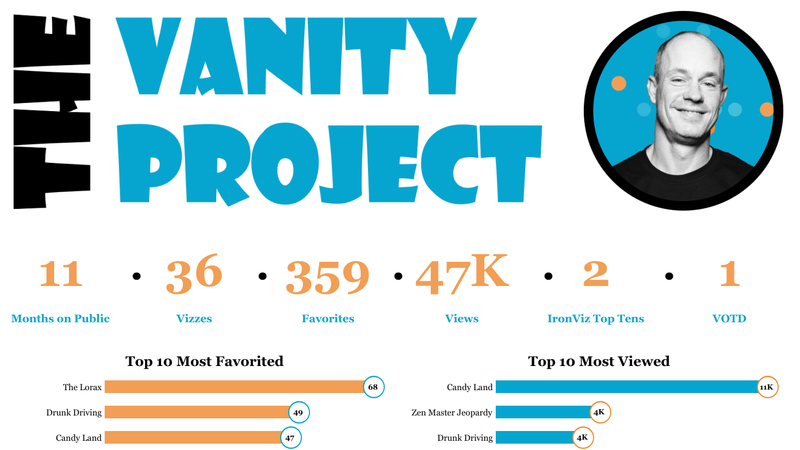 From there, I modified the sheet slightly and created my very own Tableau Public viz review, which I satirically refer to as "The Vanity Project". Check it out and let me know what you think. As always, if you ever have any questions, feel free to contact me any time.